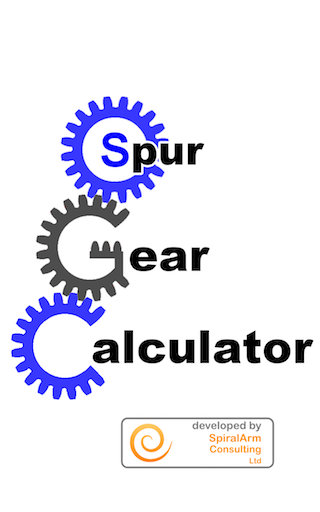 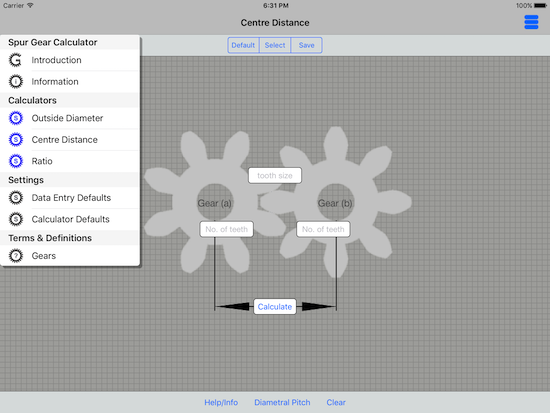 Spur Gear Calculator has been developed by SpiralArm Consulting Limited and Gear Services (Letchworth) Limited as a collection of gear data calculators in the form of either an iPad or iPhone app that can be used calculate the Outside Diameter, Centre Distance and Ratio of spur gears and pinions. 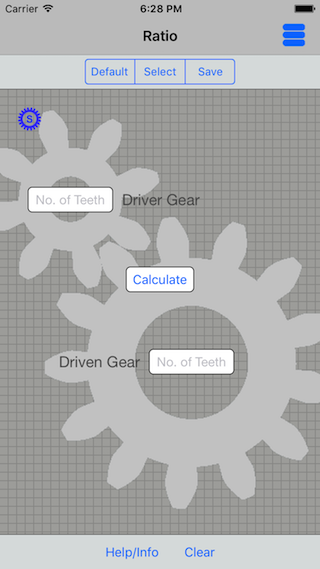 Please note that this calculator should ONLY be used for spur gears and pinions, NOT for helical gears. 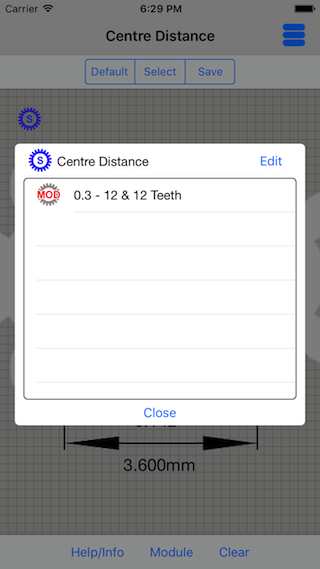 'Select' - This displays a list of input data saved using the 'Save' option. 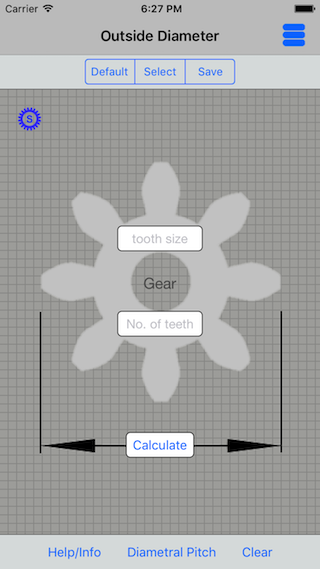 This input data can then be loaded into the input data fields by clicking on it. 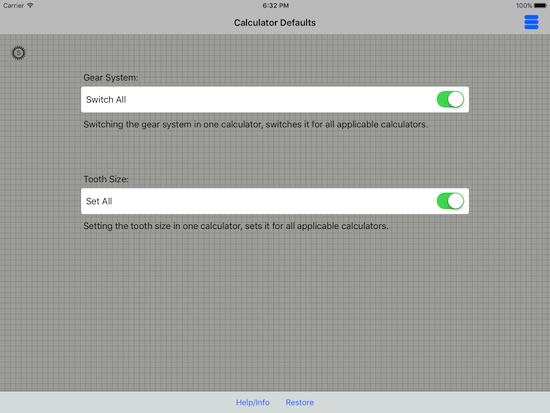 Copy number of teeth between OD and CD calculators.